I hope you had a wonderful weekend! 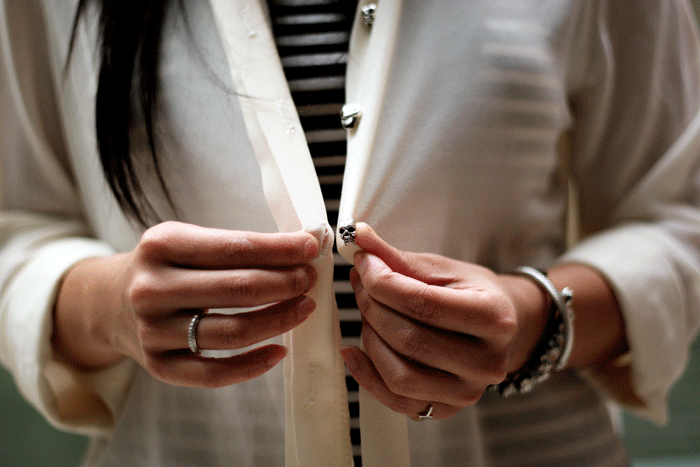 I had an uneventful one, but did manage to go on a mini shopping spree at J.Crew (I picked up 7 items at 60% off!). I want to thank everyone for their wonderful comments on my last DIY project – heart print jeans. Everyone loved them and many great opportunities came out of it. I hope to bring you more great DIY project this year, so please continue to check back. 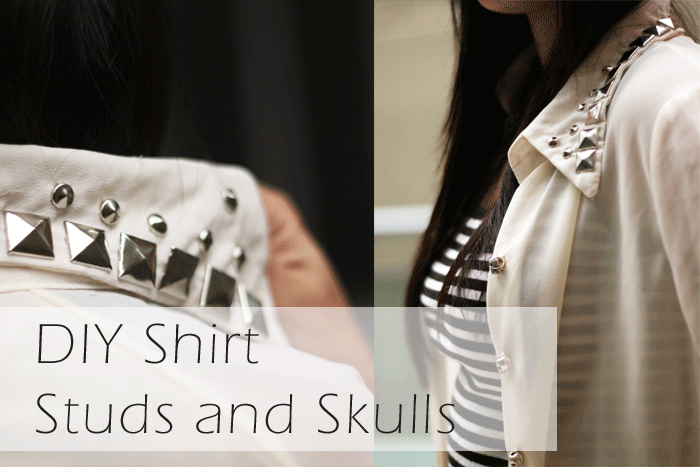 A quick and super easy DIY today – studded collar and skull buttons on a classic, crisp, cream blouse. I snatched up this blouse at a local boutique for $12. 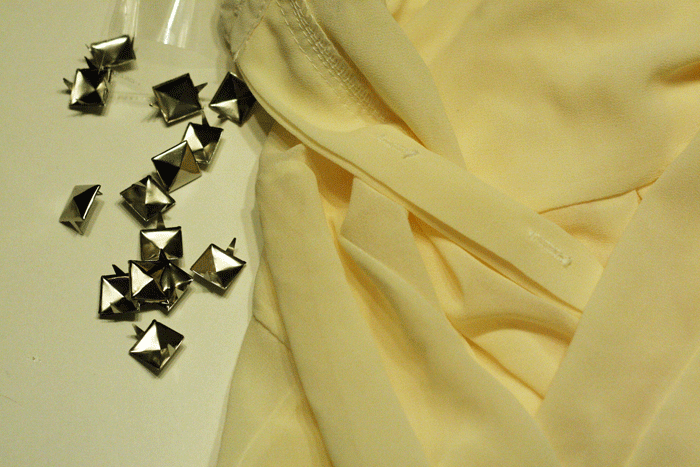 It originally came with a full jewelled collar and to be honest, I bought the blouse for the jewels. I had removed them and used it for other purposes. 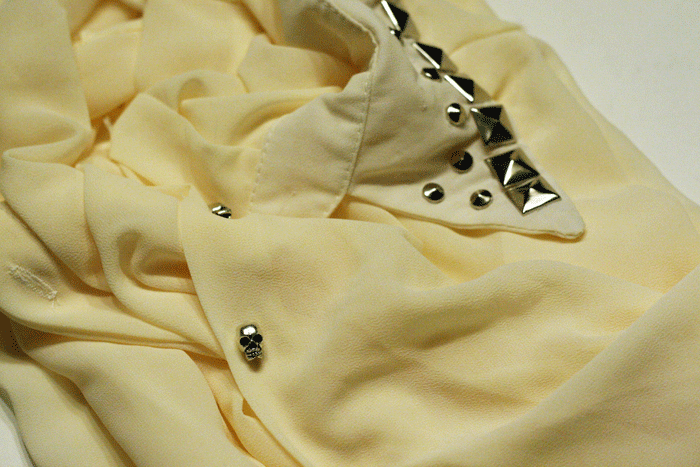 To not waste this blouse that actually fit quite nice, I decided to refashion it. I studded the collar and replaced the boring cheap white buttons with skulls beads I found at a beading store (these skulls were also seen in this post, a DIY bracelet made by a dear friend). 1. 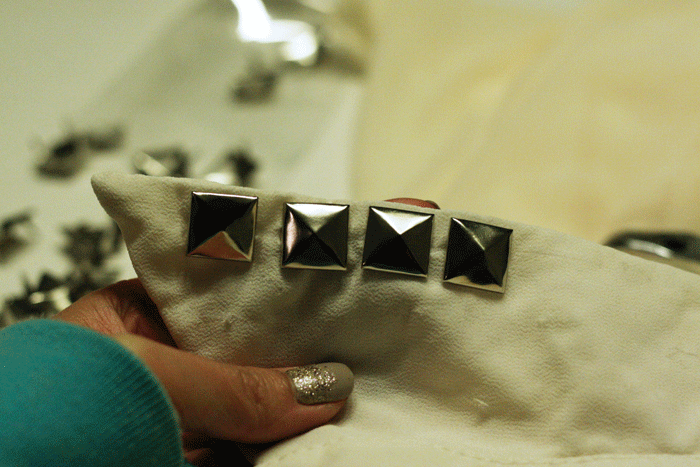 Start with the collar and measure out how many studs you will need in order to go across the entire collar. 2. 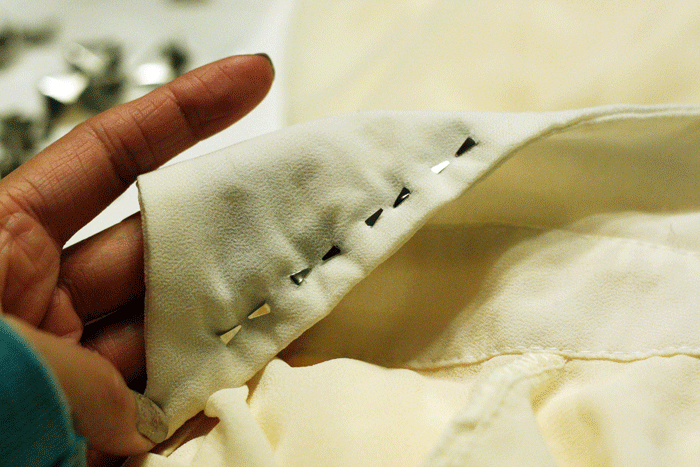 Apply one stud at a time, I just used my hands as my blouse is very lightweight and thin, but if you are having problems, have some jewelry plyers handy. 3. 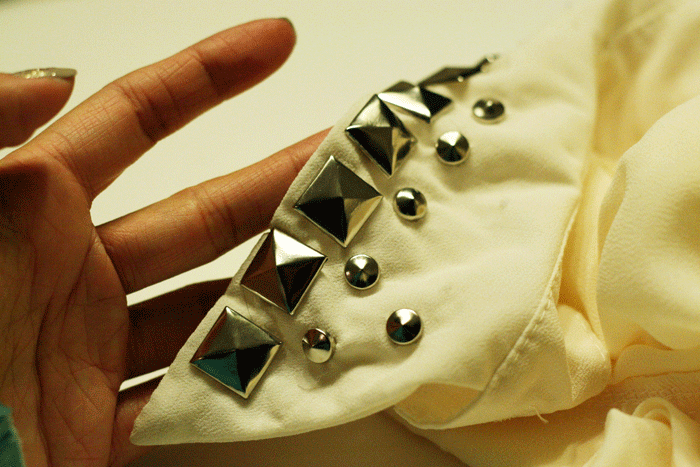 When you have completed studded your entire collar edge, contineu with applying a different type of stud to create an interesting design. I used square and round shapes. 5. Use needle and thread to sew skull heads where you’ve made your marking. 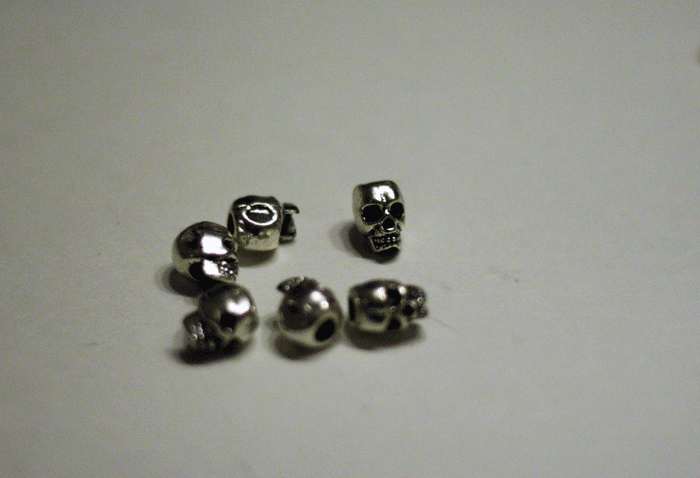 I absolutely love these little skull friends. 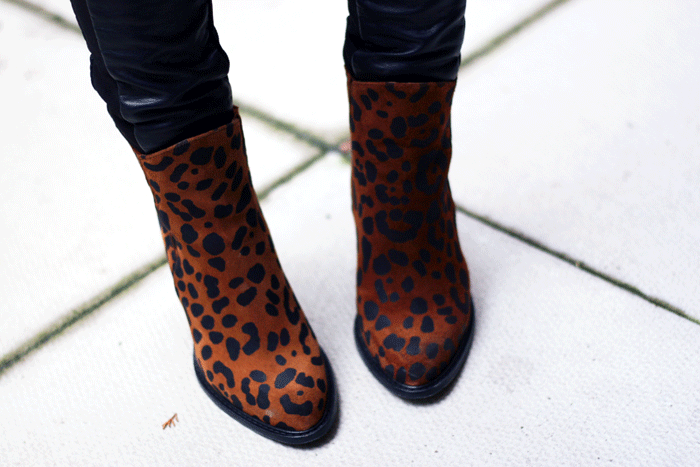 It add a bit of edge to my outfit. Thanks for checking in! Please continue to share your versions with me on my facebook page, I’d really like to see them! I hope you have a great start to your week. A busy one for me this week, with several client events.